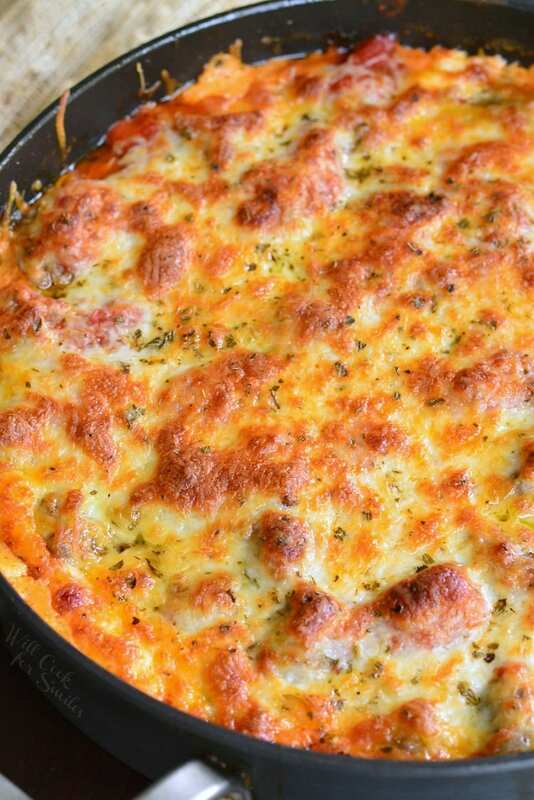 This is one amazing, knock-your-socks-off Cheesy Meatball Dip! 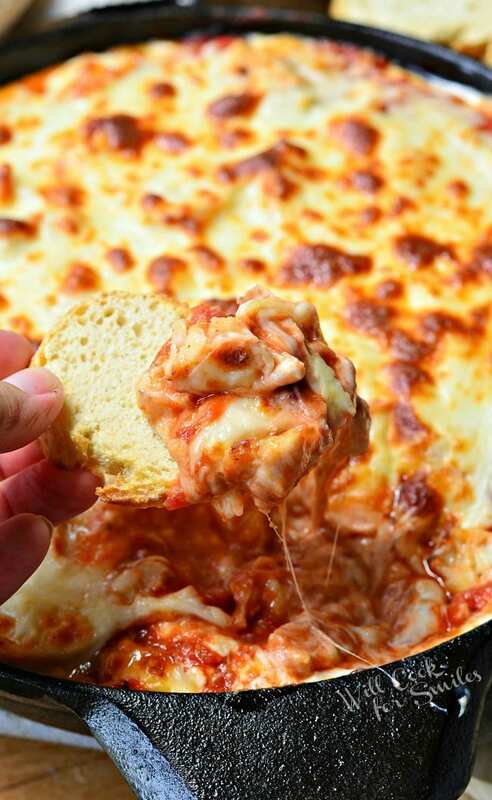 Yes, this meatball dip is made with homemade, bite-sized meatballs and layers of marinara sauce, cream cheese mixture, veggies and cheese. 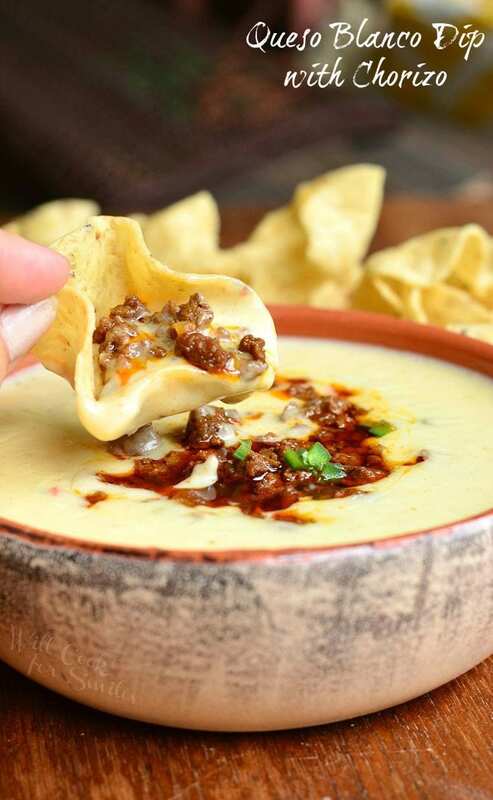 You will fall in love with each creamy, cheesy, meatball filled bite! I can’t believe Father’s Day is this weekend already. I have one more awesome recipe to share with you to help you make your dads feel happy and appreciated this holiday weekend. My husband could eat a meatball dish every day of the week and with as many of different ones as I’ve made, I could easily fill a month with different meatball recipes. 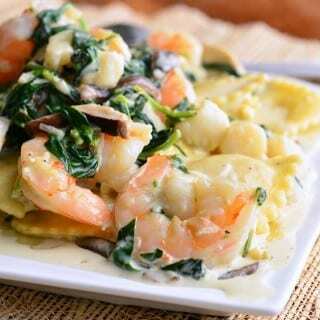 If I were to choose my favorites, I would have to go with my Shrimp Scampi Meatballs and Creamy Tomato Basil Meatballs. If it was up to my husband, he would always choose my Classic Meatballs first and may be Roasted Garlic Rosemary Meatballs as a second favorite. Well, those were my husband’s favorite meatballs recipes but I think that I’ve created a worthy competitor for the number 1 spot. 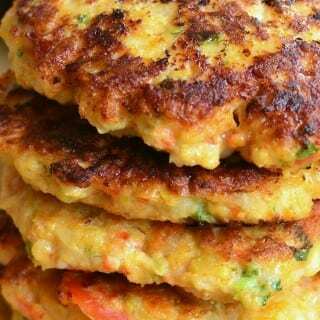 It combined his favorite homemade meatballs with a hot, creamy layer of cream cheese mixture and threw in a few sauteed veggies for a some sweetness. 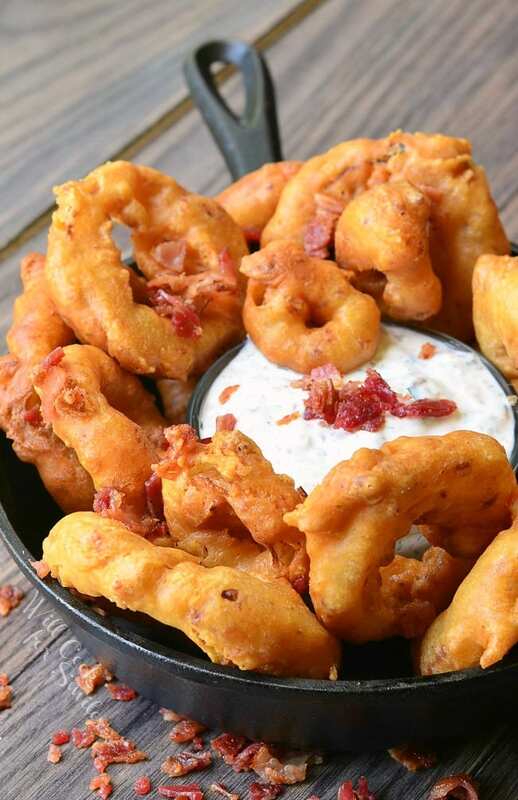 “Amazing” is the only word to describe this dish. 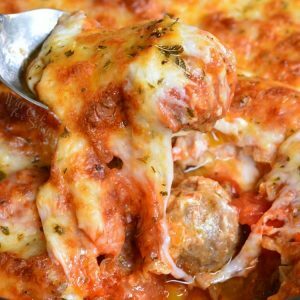 At first glace, you might think that this dip is too much work because there is the cream cheese layer and the meatball layer but DON’T pass it by, it’s really a pretty easy recipe. Both the cream cheese layer, and the meatballs are not much work beyond mixing of all ingredients in a mixing bowl. The meatballs will take a few minutes to roll but that is truly the hardest part. Prepare the cream cheese layer by beating the ingredients in the bowl. 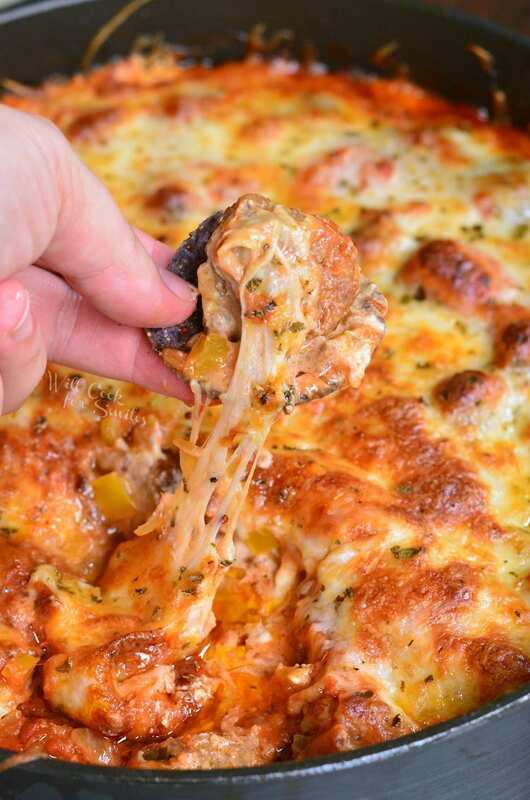 Fold in shredded cheese and set it aside. 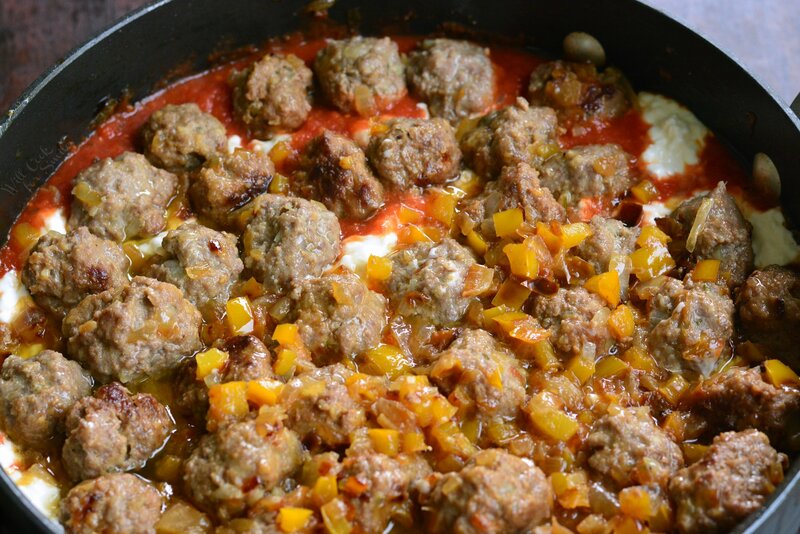 Prepare the meatballs by mixing all ingredients for meatballs in a separate mixing bowl and roll the meatballs. Finally dice the Vidalia onion and bell pepper, and you are ready get cooking! Start by sauteing onions and peppers and then add the meatballs to the veggies. 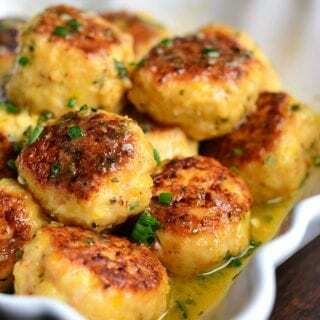 Cook them until meatballs are just done. 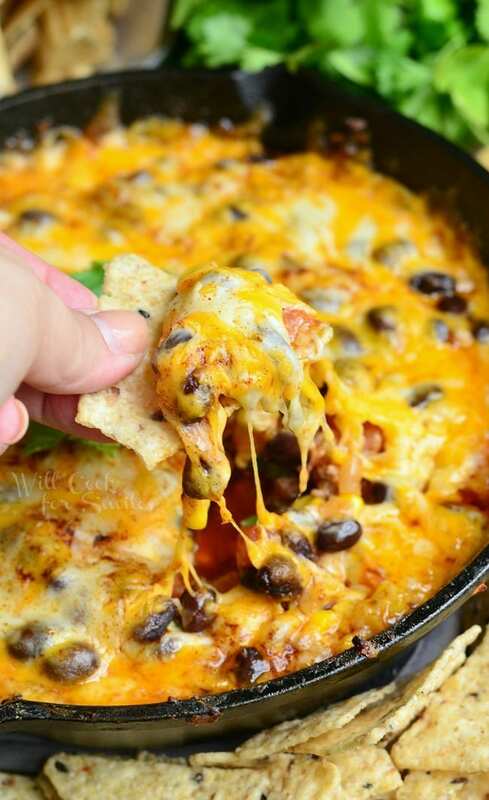 Take everything out of the oven-safe pan and start layering those tasty dip layers. 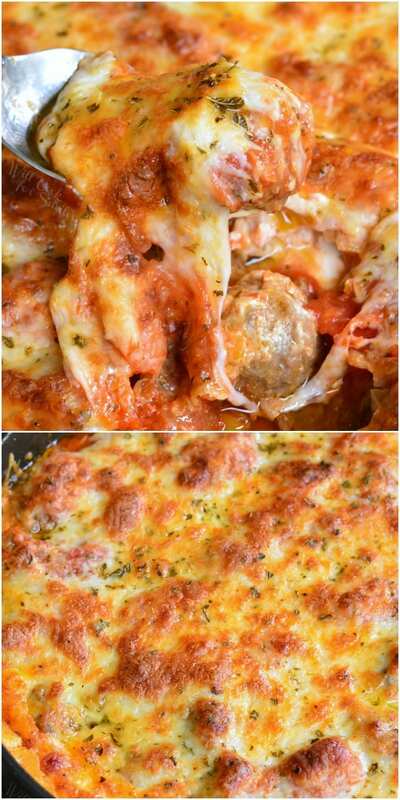 Start with half of the marinara sauce, then the cream cheese mixture, them the meatballs and veggies, and finally, more marinara sauce and cheese. Bake it all and enjoy…but let it cool down first! 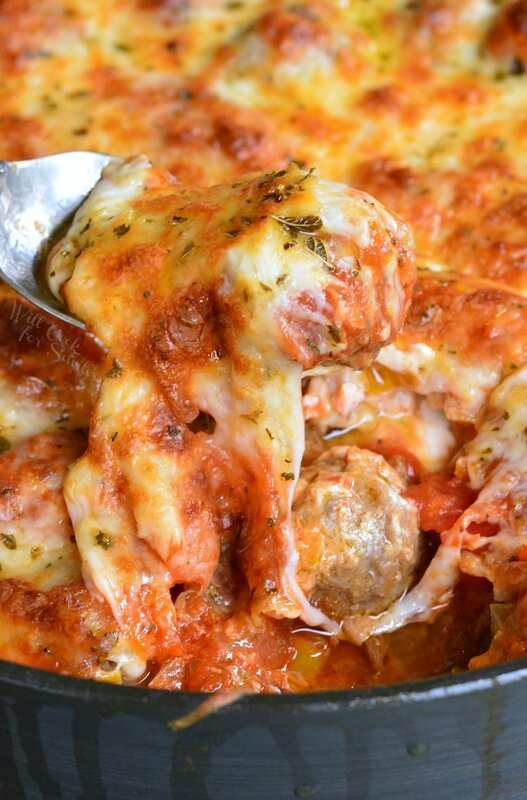 Amazing hot meatballs dip made with layers of creamy cheese mixture, marinara sauce, veggies, and of course, meatballs. 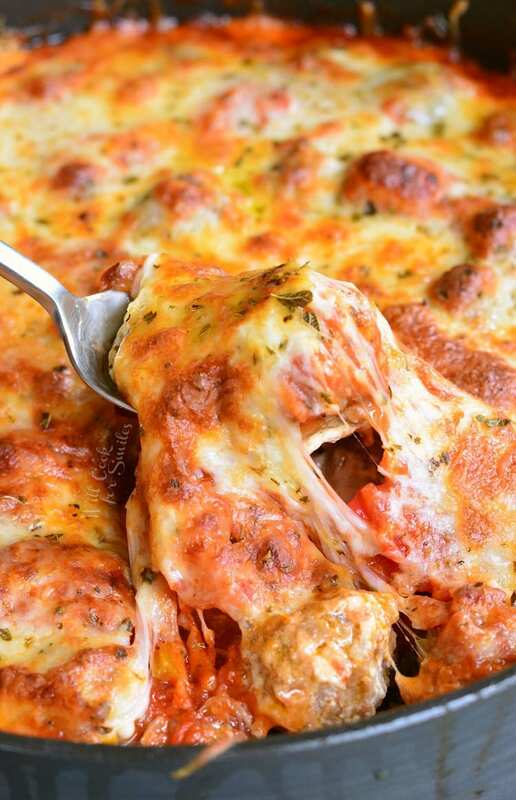 All of it is layered and baked with a layer of mozzarella cheese. Beat cream cheese, mayo, sour cream, salt, and garlic powder until all smooth and combined well. 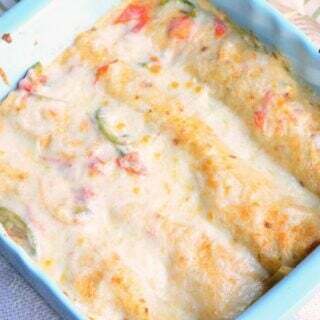 Fold in 1 cup of shredded mozzarella cheese. Set aside. Combine all the ingredients for meatballs in a mixing bowl. Mix very well. Roll small meatballs that are about 1/2 an inch in diameter or even smaller if you wish. They need to be bite-sized. Lay the mini meatball on a parchment paper. 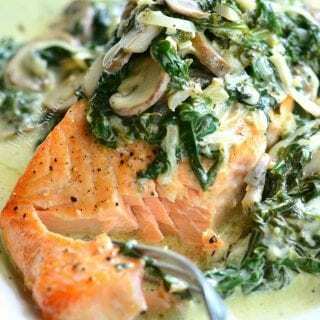 Heat up a large pan that is also oven-safe on stove-top, over medium heat. Add oil to the pan and add diced onion and bell pepper. Saute until softened and starts to brown. Add meatballs in one even layer. Cover and cook for a few minutes. Flip the meatballs, cover and cook until just done. This won't take long since the meatballs are so small. Turn off the stove-top and preheat the oven to 375. Take out the meatballs and set them aside. Spread about 1/2 of the marinara sauce in the bottom of the pan that was used to cook meatballs and veggies. Spoon cream cheese mixture over the marinara and try to even out the layer. Spread meatballs and veggies over cream cheese layer evenly. Spoon remaining marinara sauce over the meatballs. Spread the 1 1/4 of shredded mozzarella over the top and sprinkle with some dried oregano. 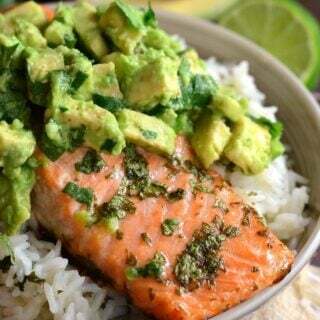 Serve with toasted slices of bread, chips, or crackers. I’m still looking for a good gluten-free meatball recipe, but this will sure go on the list to try after I find it! I hope you will like it, Sean! I’m having a hard time making GF meatballs the same as regular but the closest I’ve come is with a slice of GF bread instead of bread crumbs. I use GF bread crumbs when I don’t have bread but bread get a better texture to the meatball. Use ground flax seeds as a binder. That’s a great idea, Dina! I’ll definitely have to try it.